Remember when I posted the vignette of dogs (here)? 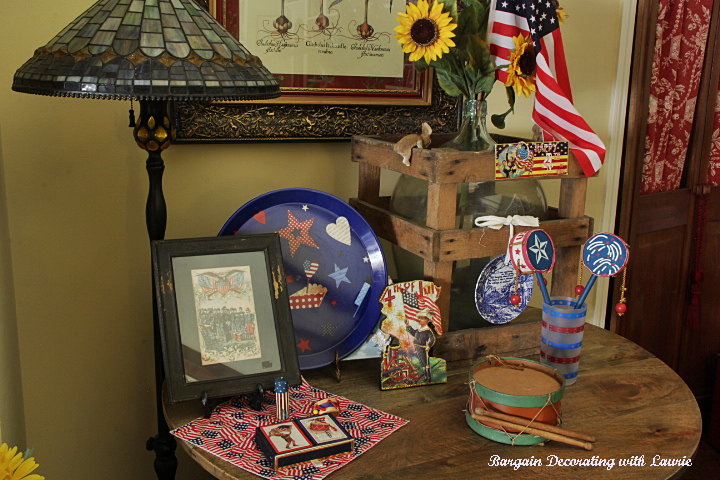 I've added some red, white, and blue to that vignette. 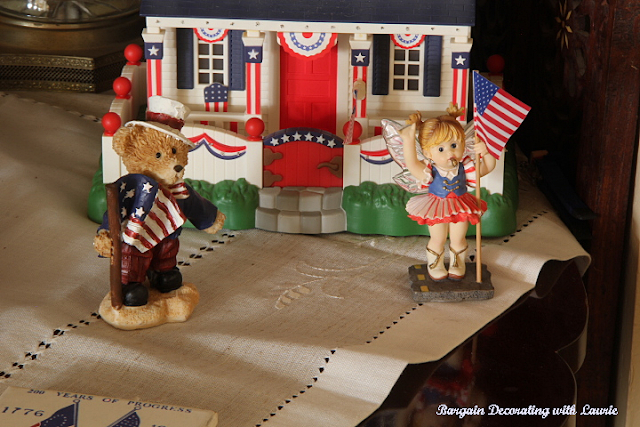 A majorette and a bear lead off the 4th of July parade. 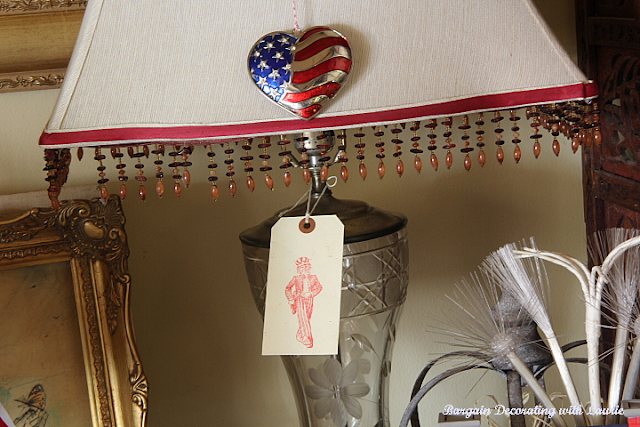 The lamp shade got a touch of patriotism. 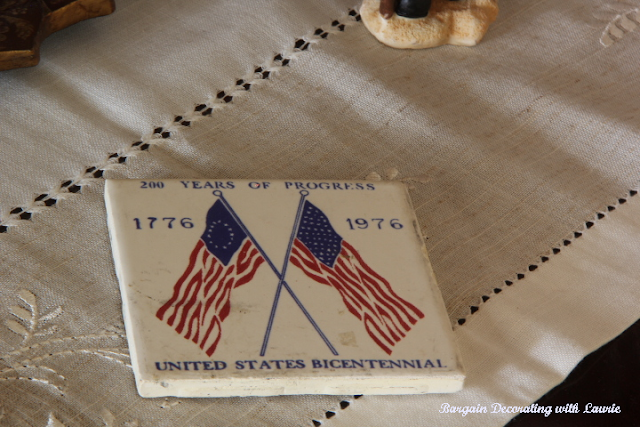 A bicentennial tile, purchased at a flea market, serves as a coaster. 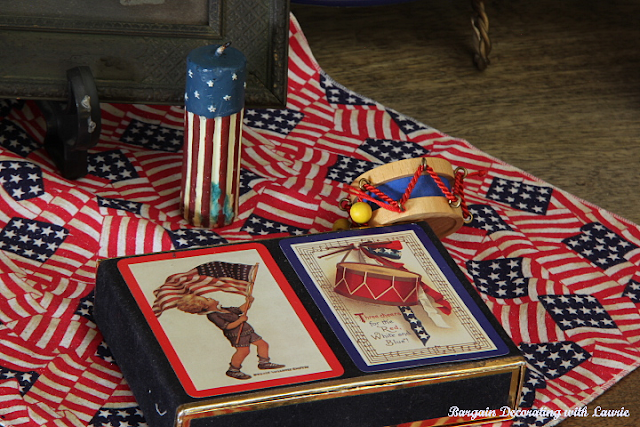 I bought the little Independence Day house at an estate sale. My grandchildren love the light display. 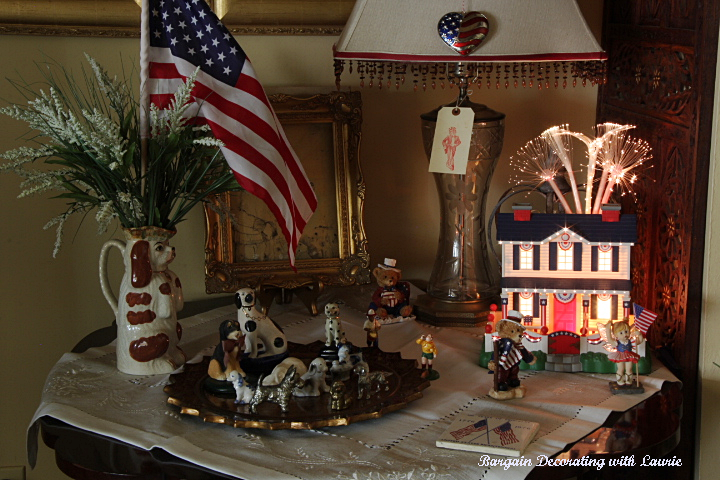 The table on the other side of the fireplace got some red, white, and blue touches too. 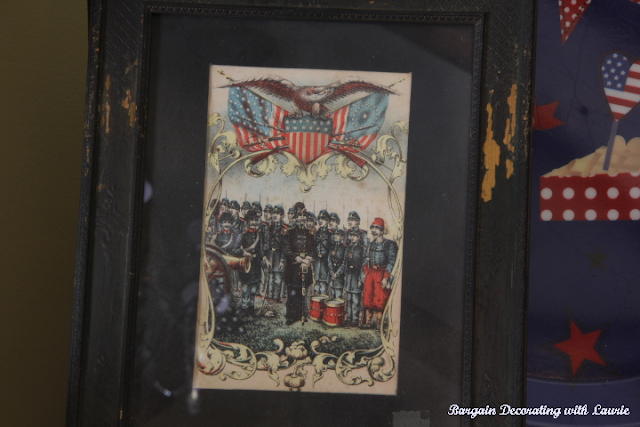 This was another estate sale purchase. I left it in the original battered frame. 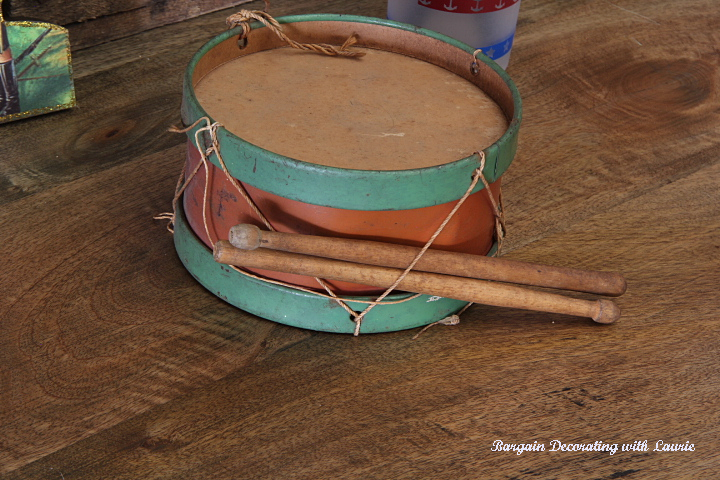 I added a vintage toy drum (purchased at an auction). 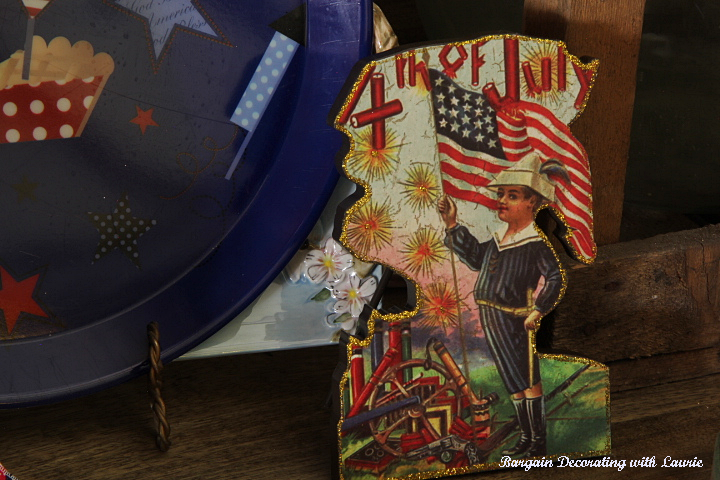 If it happens to rain on the 4th of July, I have the playing cards ready. 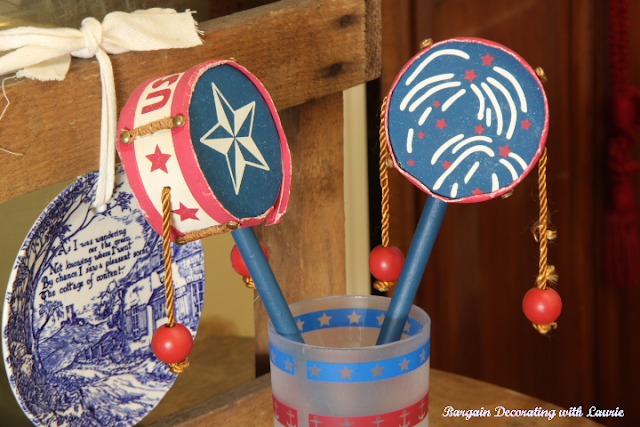 And if it rains, I may get desperate enough to let the grandchildren play with these twisting drums, which drive the adults crazy! 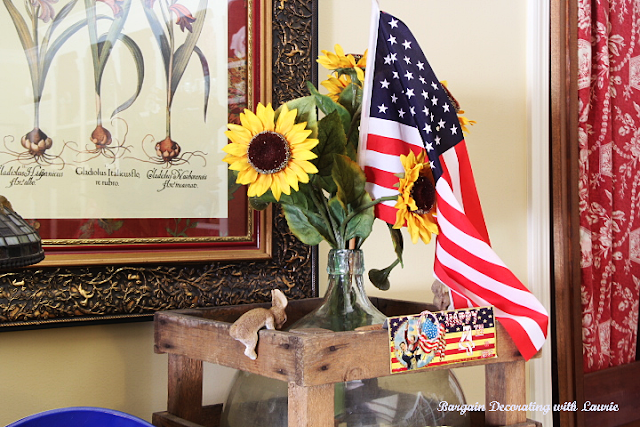 Thank you for checking out our red, white, and blue. I'm loving your red, white, and blues! This vignette is wonderful, and also your patriotic mantel from last week as well! Makes me want to decorate!